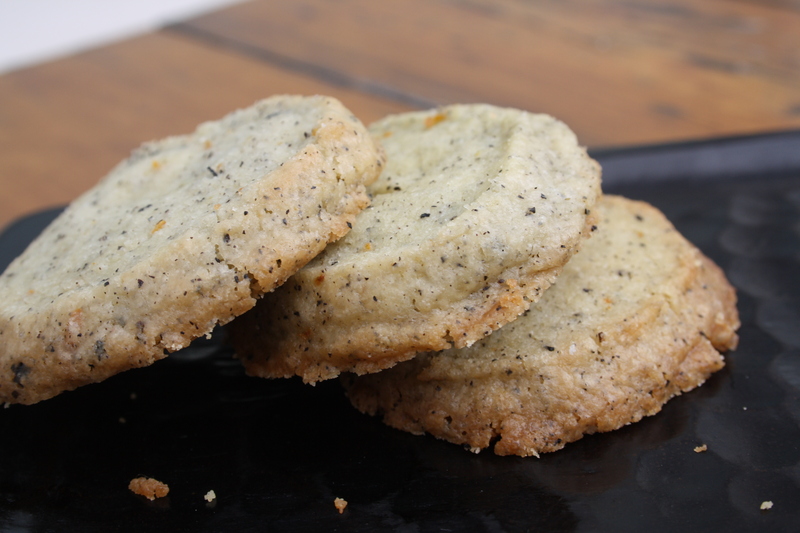 These Earl Grey biscuits are one of the recipes we’ve tried as part of our Earl Grey Challenge. They’re Lahloo Pantry’s chef Laura’s take on this recipe by Martha Stewart. Delicious and zesty, the perfect accompaniment to a cup of Earl Grey and a lovely present for friends or family! Use a mortar to grind the tea leaves, mixing them with the flour and a pinch of salt. In a separate bowl, mix butter, sugar and the orange zest. Then gradually add the dry ingredients to this mixture. Divide the dough in two, and put each part on a separate piece of baking paper. Shape these into logs, rolling them carefully in the baking paper to a diameter of about 1 and 1/4 inches. Freeze the logs in the baking paper for 1 hour. Pre-heat the oven to 175 C .
Cut each log into biscuit-sized slices. Place them on a lined baking sheet about 1 inch apart. Cool on a rack and they’re ready to eat! Enjoy! Here at Lahloo we have been celebrating! We are absolutely delighted to be supplying one of, not only our favourite but also, the South West’s favourite specialist food retailers Chandos Deli. Most Saturday’s you’ll spot Kate popping in to Chandos on her way back from her morning run across Ashton Court for the ingredients to make her favourite weekend brunch – boiled eggs and toast and marmalade! Leaving Chandos with her arms full – a loaf of real bread, either Hobbs House Sherston loaf or Richard Bertinet’s delicious sourdough, local salted butter, free-range eggs and marmalade – and stopping to pick up the FT, Kate finally makes her way home! Not long after, Kate and partner Neil fight over the foodie pages by Jancis Robinson and Nick Lander, slurp pots of nice strong breakfast tea, dunk toast soldiers into their runny eggs and hum along to BBC radio 6. Only then is Kate one very happy bunny! Chandos’ deli was first set up in 1992 on Chandos Road in Bristol (hence the name). After humble beginnings, they went from strength to strength. The quality of their produce and exciting range (without forgetting their friendly and knowledgeable staff) meant that their business was an overnight success. Chandos is a top spot for food lovers in Bristol (Whiteladies Road, Clifton Village, Henleaze and Quakers Friars), Bath and Exeter. So, when the opportunity arose we jumped at the chance to work alongside Iain and his passionate team, confident they would showcase Lahloo tea’s in all its glory and do us proud! It’s easy to see why it’s gone from strength to strength, and become one of the South West’s favourites. Great food, pure & simple: their concept is very simple! And it goes hand in hand with Lahloo’s. Iain’s passion and dedication to sourcing exciting/authentic produce is why he has chosen to stock Lahloo. Like Lahloo, Chandos is an independent, vibrant company that prides itself on its attention to detail and customer service. So, it would seem like the obvious partnership and a match made in foodie heaven! So, this weekend why not head on down to your local Chandos? Check out what’s going on, pick up some of your favourite ingredients for a lazy Sunday brunch and (it goes without saying) don’t forget to do them justice by picking up the perfect accompaniment to all that delicious food; Lahloo tea – real tea for real people! 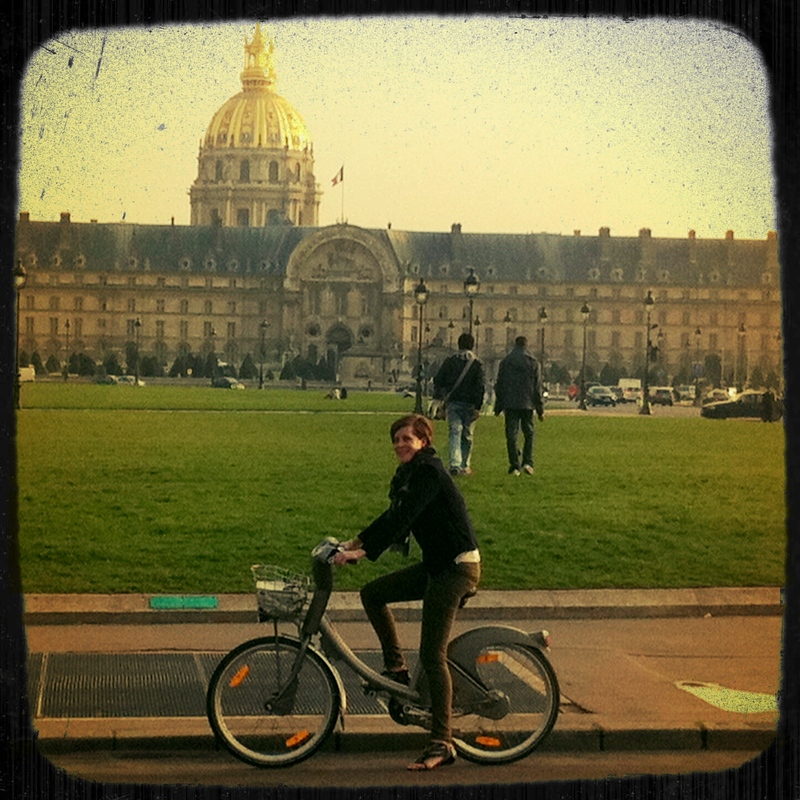 The first time I ever went to Paris I fell in love. Paris is a truly magical city full of wonderful and inspiring sights, sounds, shops, cafes, chic-ness, food and drink. One of my lasting memories of Paris will always be the first time I spotted macaroons! Wandering and cycling (my favourite thing to do in Paris) through the chic streets of Paris, we stumbled across Laduree, a beautiful almost fairytale-like patisserie and salon du the. Oozing with style and indulgence, I just had to go in. Laduree has been making beautiful patisserie since 1862 but what they’re really famous for is, macaroons. Not only do their eye-catching candy colours look beautiful but these bite-sized little meringues are just delicious. Ever since I first bit into the crisp outer shell and sunk my teeth sumptuously into the soft, smooth inside they have become my favourite tea time treat. 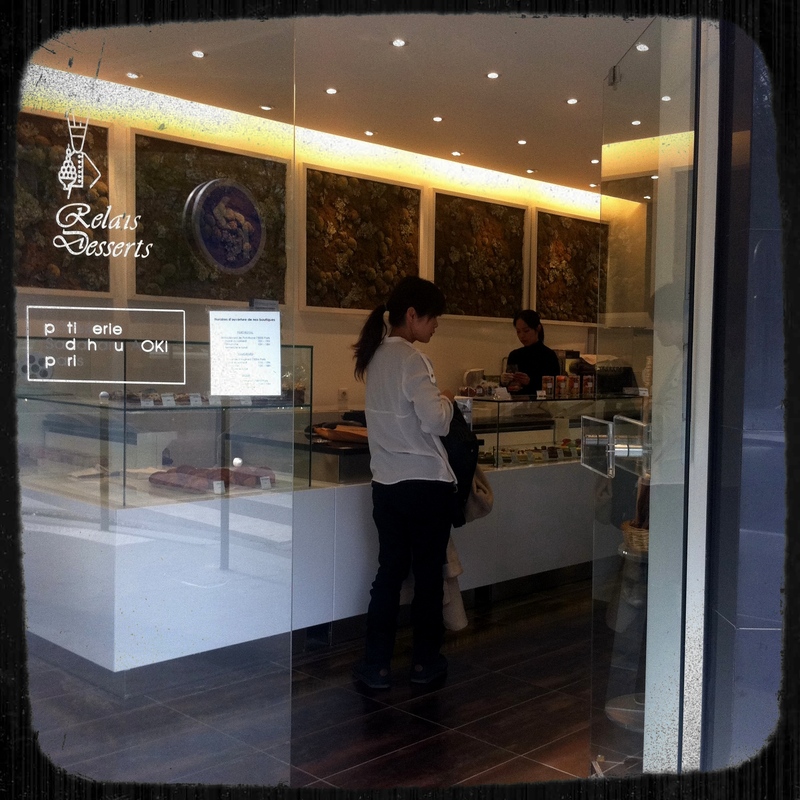 I went to Paris a couple of weeks ago and discovered Sadahuru Aoki’s beautiful Japanese-French patisserie full of stunning looking and sensationally tasting tea inspired patisserie. 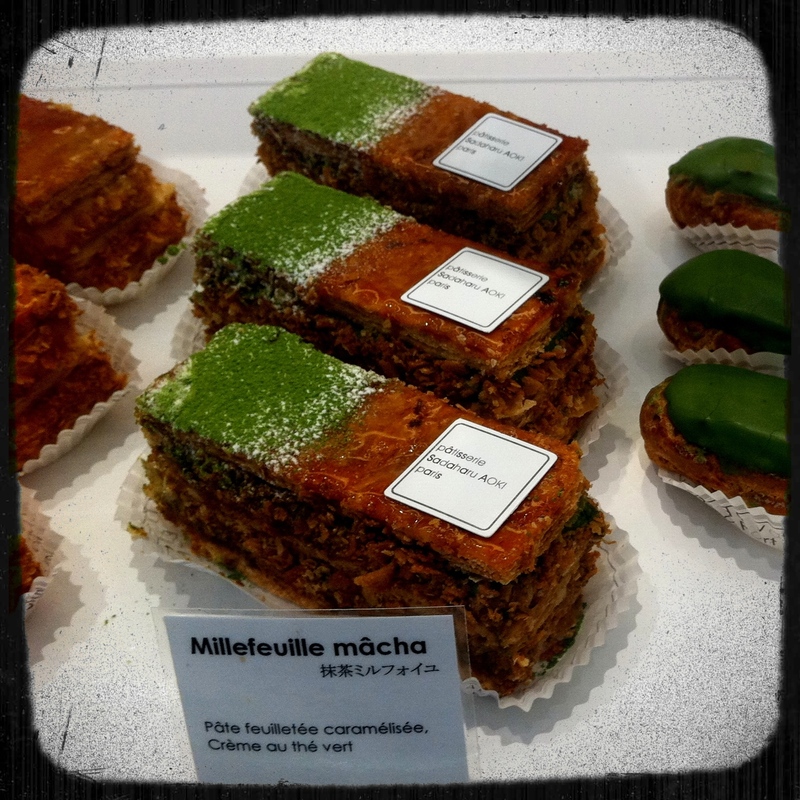 His Matcha Millefeuille and Zen cakes were incredible and just right with a cup of Japanese green tea after our long cycle uphill to get there! Once we’d savoured our wonderful patisserie and felt utterly revitalised, we couldn’t resist bringing some of his wonderful treats back to the Lahloo hub. 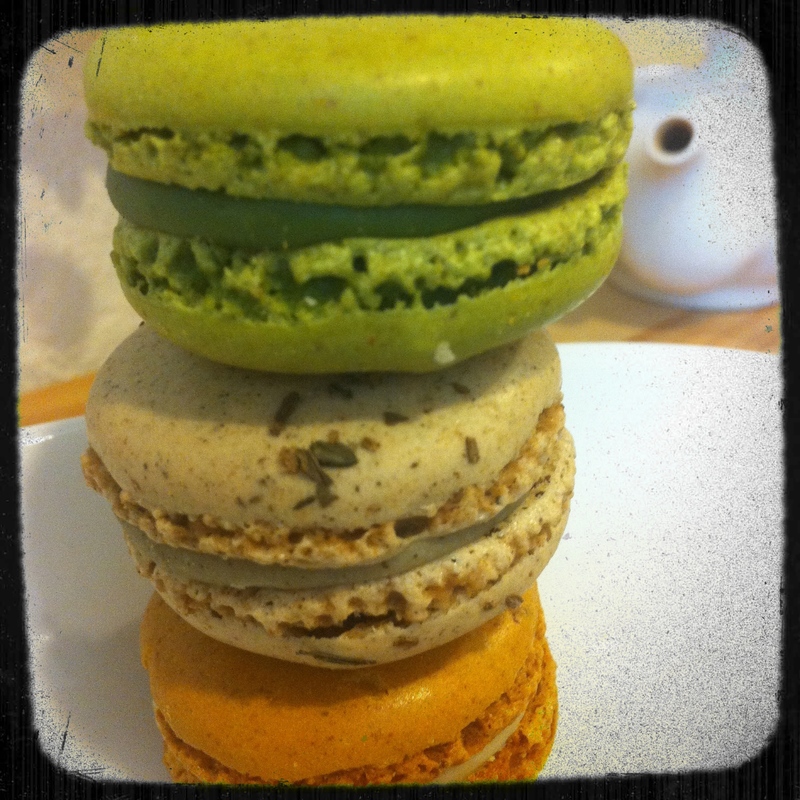 It’s really difficult to find good macaroons in Bristol (although you can find them in London: Laduree in Harrods and the Burlington Arcade, Pierre Herme‘s pop-up in Selfridges and more recently Bougie in Covent Garden) so I brought a whole box of tea and Japanese inspired macarons – Genmaicha, Matcha, Hojicha, Yuzu and Sesame. What a treat! You see, they are just the right texture, size and sweetness to go with a cup of Lahloo tea – crisp and chewy on the outside, smooth and soft in the middle. Absolutely dreamy! Unfortunately, I’m not in London, or Paris, enough to keep my habit satisfied so for ages I’ve been trying to find a recipe that meant I could make them at home. I’ve finally (after lots of failed attempts) found an easy to follow recipe to use that works every single time. Thanks to this recipe I adapted from Lorraine Pascale’s ‘Baking made Easy’ programme on BBC recently, I can now easily make macaroons to enjoy. And I’m in heaven! Delicious nibbly tea time treats! A steaming pot of tea and hot buttered crumpets; the perfect excuse to gather friends together around the fire on a Sunday afternoon and escape the winter blues! I recently found my Grandma’s hand-written cookery book full of classic English tea time recipes. She had everything you could possibly need for the perfect afternoon tea time treat and I discovered a really simple recipe to make your own crumpets. Get the kettle on! In a large bowl mix all ingredients and beat well. Leave the mixture to rise until bubbles appear on top. Beat and cover with a damp tea towel and leave to rise again. Then pour into crumpet rings (or pastry cutters) and bake in a brisk oven until golden. Turn over and cook on the other side. As easy as that! 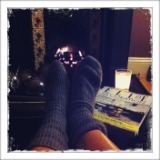 Remember, crumpets are best served hot, toasted and well buttered in front of a roaring fire with a steaming pot of tea.